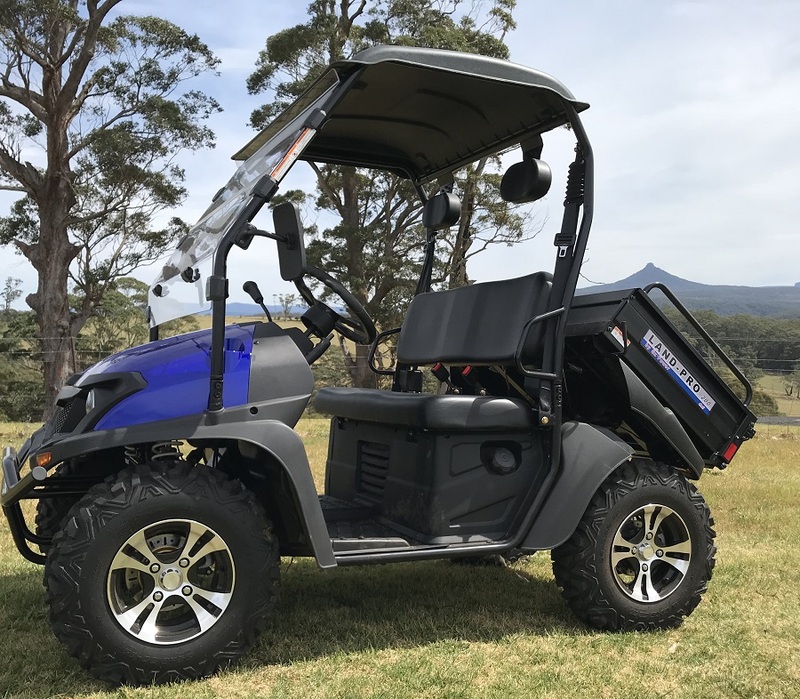 Garron UTV 200 SSV 4x2 is a versatile utility vehicle to suit most applications where a serious 4x4 unit is not required. Medium to small acreage, large gardens and parks, golf courses and vineyards are just some of the many applications. Its wide tyres and generous ground clearances give Garron excellent traction in most conditions. Powered by a 9hp 4 stroke petrol engine with excellent low down torque it can handle most hills with ease. The transmission is CVT auto with Hi & Low range in forward plus neutral/reverse gear selection. The ride and handling are complimented by rack and pinion steering, independent front suspension, rear independant suspension, rear adjustable coil over shocks and hydraulic disc brakes on all four wheels. Having a bench seat, dual 3 point lap/sash seat belts and large under-seat storage combined with a rear tipper tray and tow hitch make for a very safe and user friendly vehicle. The Garron 200 SSV 4x2 comes with a 12 months parts and labour warranty as with all our products we carry a comprehensive spare parts inventory. 92.5 x 54.3 x 73.6 in.